Some things are exclusive because they're high end super-exotics. Others are exclusive because basically nobody buys them and the company realizes they made a mistake. The Mini Clubvan falls into the second category. 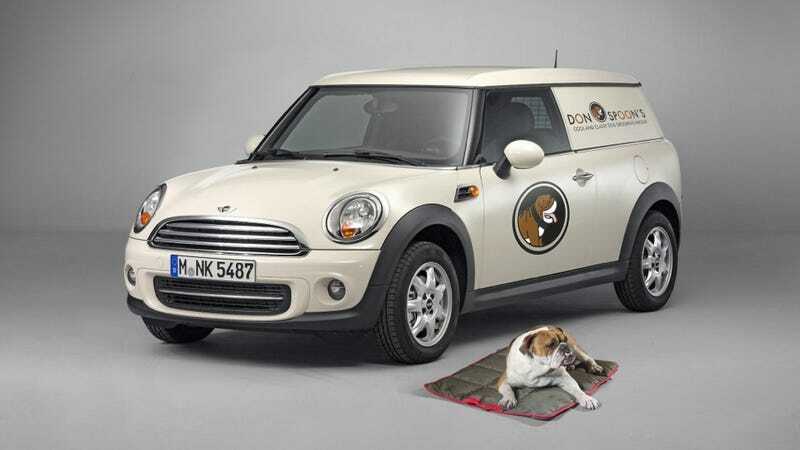 What is the Mini Clubvan, you ask? It's the Mini Clubman without the rear windows or rear seats and such. Basically it's a cargovan without the whole "usability factor" that makes a cargovan so desirable. Mini thought this was a good idea. The people didn't think this was a good idea. Mini only sold 50 of them and is now withdrawing them from the US due to "low demand." That means Mini realized one car they need to get off the market, maybe they'll (HINT HINT) take another one away soon, too.